This study reveals that the brand of slavery practiced in the United States does not compare favorably with the slavery and servant-hood practiced in Israel during Biblical times. 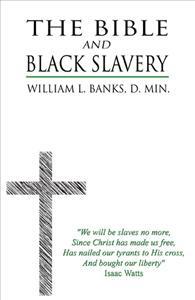 Neither the Old Testament nor the New Testament lends support to the slavery system that ruled in America for nearly two and a half centuries. Proper interpretation of the Scripture teaches that the God of the Bible is no respecter of faces or races.